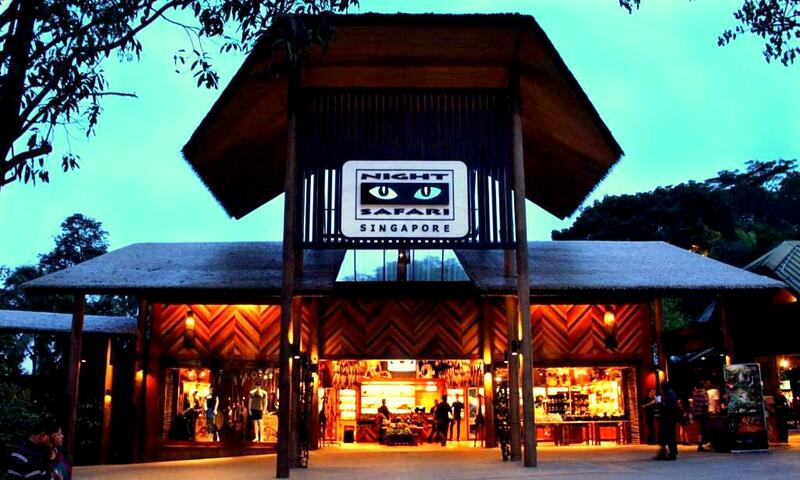 Choosing the best things to do in Singapore was no easy task; this is a city bursting to the seams with impressive attractions, exciting activities, and plenty of day trips for all the family. 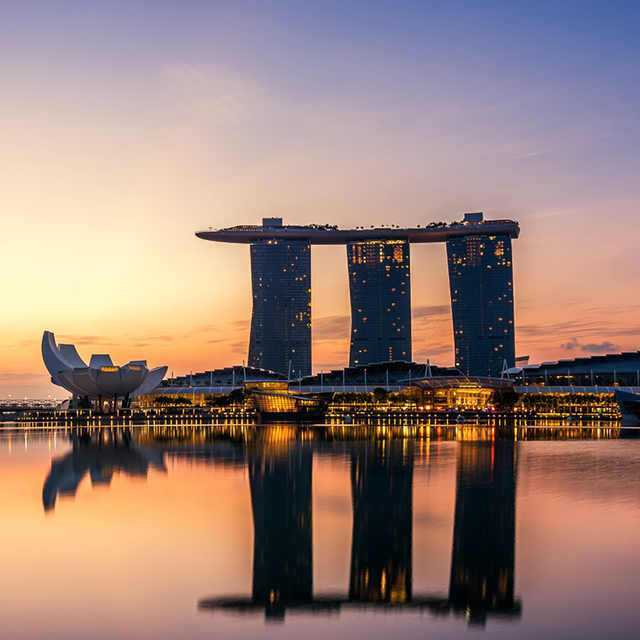 Almost everyone will have seen an image of the city’s symbol, the Merlion, and this makes our list alongside the nearby Marina Bay Sands SkyPark and Singapore Flyer – both of which offer breathtaking views across the iconic Singapore skyline. 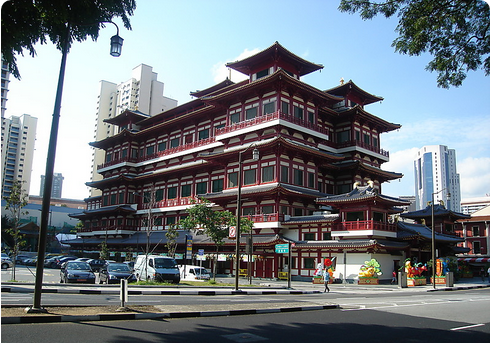 This tiny island state is also a land of contrasts; Chinatown and Little India, both gastronomic and shopping hubs in their own right, represent the incredible ethnic diversity of the country. For nightlife we’ve got you covered too; sip on a Singapore Sling at the lavish Raffles Hotel, or head to Clarke Quay for some of the city’s most picturesque eating and drinking spots. Here we recommend some sightseeings to you, but not the final arrangement. The detailed arrangement will be provided at the early of December, 2019. Singapore's famed Marina Bay is the place to go to see the city's most spectacular things to do. With the fast development of this cosmopolitan city-state, the whole Marina Bay area has undergone a transformation of epic proportions. The S$5.5 billion Marina Bay Sands complex is the focal point of the bay, and many of the great things to do and see in the area revolve around this epic building and resort, such as the Science Museum, Casino and various shopping, dining and nightlife options. Arrive at Marina Bay around 20:00 to catch the spectacular light show, which illuminates the water as well as several icon landmarks you've probably seen on the postcard. In fact the Skypark itself resembles a self-contained garden city in the clouds, with bars, restaurants, a huge infinity swimming pool, lush tropical landscaping and jogging paths (available to hotel guests only) and a gift shop. Gardens by the Bay is a huge, colourful, futuristic park in the bay area of Singapore. The famous Supertree structures offer an impressive skywalk over the gardens, over-sized seashell-shaped greenhouses recreate chilly mountain climates and there are hundreds of trees and plants to discover, making this destination great fun for both kids and adults. 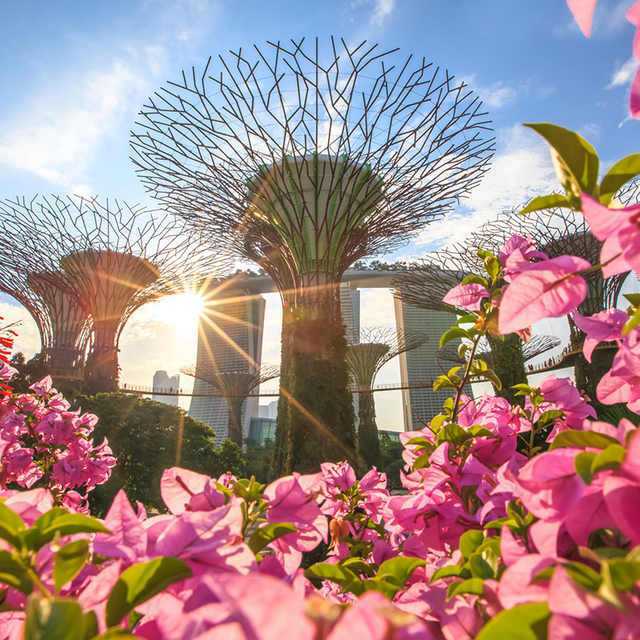 The best place to grasp the size of Gardens by the Bay is from the top of Marina Bay Sands, which sits directly opposite the park, the space encompass 250 acres of reclaimed land on the waterfront. Getting here is easy, either via walkways from the hotel, giving you an elevated view of the gardens, or taking the slightly longer riverside promenade to enter the park near the two domes. Walking around the park won’t cost you a cent but if you want to step inside the climate-controlled conservatories, or walk amongst the Supertrees, there is a fee. The main park area is open from 9:00 to 21:00.